The Airwave Mattress consists of a dual layer foam system with Air Wave technology. Not only does this help to keep the baby cool but also results in 2 differing densities so the core can be flipped to suit as the child develops. The Basic Air Wave mattress has a 3 Ply Moisture repellent cover that can be unzipped and removed for easy cleaning. 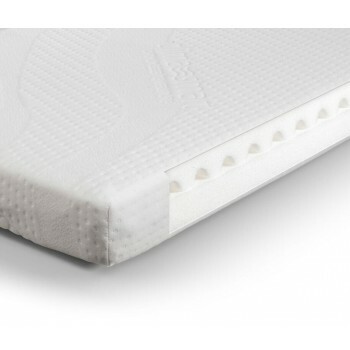 The Airwave Mattress consists of a dual layer foam system wi..